Way back in 1999, TiVo changed the way you watched TV and recorded your favorite TV shows by letting you breeze past commercials. The new TiVo Bolt may change your TV-watching habits yet again with more time- and money-saving features. TiVo has drastically redesigned and improved its digital video recorder (DVR) to make it many times better than the TiVo Roamio. First off, the much-requested button for skipping commercials has finally landed. Viewers have waited 16 years for a feature like SkipMode, which lets you scuttle through ads with the press of a button. You no longer need to repeatedly press the fast-forward or the 30-second advance button while guessing where the commercial block ends. SkipMode eliminates the guesswork and saves you time. A caveat: For now, Skip Mode works only on recorded shows with defined commercial blocks (except local shows or sports). That’s not the only time-saving speed feature on the new TiVo. QuickMode lets you play back a recorded program 30 percent faster without distorting dialogue to sound like a conversation among Alvin, Simon and Theodore. TiVo claims that if you combine both SkipMode and QuickMode, you can actually save a month’s worth of viewing time in a year. That’s time you could spend enjoying other pastimes—or watching more shows. The TiVo Bolt lets you save money on equipment because you only need one Bolt for all your TVs. No need to pay for cable TV box rental, multi-room service fees or Digital Video Recording (DVR) fees. The Bolt is compatible with 4K Ultra High-Definition TVs, so if you already have such a 4K UHD TV or plan to buy one soon, you can be assured the Bolt plays well with it. The Bolt also supports gigabit Ethernet, IEEE 802.11ac Wi-Fi and intranet media streaming to mobile devices. 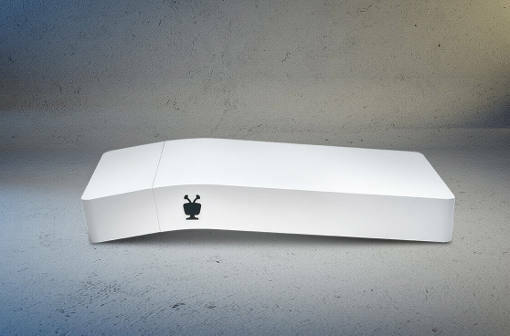 Get a TiVo Bolt ($299.99 for the 500-gigabyte model, $399.99 for the 1-terabyte model) from TiVo’s online store and Amazon. The purchase includes free service during your first year of subscription, after which you will be charged a yearly TiVo service fee of $149.99.